Need a commercial electrician for your business? We deliver quality work and first class service, every time. If you need an expert commercial electrician for your business, we can help. ​Cowley Electrical provides commercial electrical solutions to businesses on NSW's south coast covering Batemans Bay, Moruya and Narooma. We deliver quality electrical projects on time and on budget. We understand the importance of a professional, discrete and service-focused approach when working with our commercial clients. Our level of expertise includes new builds, office upgrades, shop fit-outs, business compliance and service work. All onsite staff have a current police check. At Cowley Electrical we take safety seriously, with safe practices the centre of our working day. We undertake regular development training to ensure our technical skills are in line with the latest standards and our service is on point! 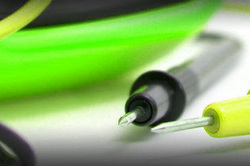 All of our electrical work is thoroughly tested and is in compliance with Australian standards. We are fully licensed by the Department of Fair Trading to carry out all types of electrical work and we are fully insured with public liability insurance to $20 million. ​For our government and education industry clients, our trade staff hold current National Police Certificates and Working With Children Checks. CONTACT US TODAY about your business needs. Is your workplace safe and tested? We can Test & Tag your electrical appliances to ensure a compliant and safe working environment. 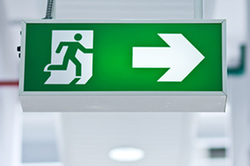 Can your staff and customers exit safely in an emergency? It is a legal requirement to have your Emergency Exit Lighting tested periodically. 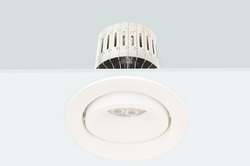 LED down lights are up to 80% more efficient than traditional halogen down lights, which means significant savings on your running costs.